LinkedIn had been teetering on the edge too long. Investors just knocked it off a cliff. Shares of LinkedIn tanked on Friday, falling 43% after the company gave a somewhat conservative outlook for the current quarter. LinkedIn said its sales for the current quarter would come in about 6% lower than what Wall Street had expected, and earnings per share were 27% below analysts' expectations. LinkedIn (LNKD) actually had a pretty good quarter in the last three months of 2015. The company launched its new app last quarter, which is getting great traction. Membership grew 19% to 414 million, visits were up 7% and clicks on members' LinkedIn pages were up 26%. Mobile is soaring, and profit and sales were up strongly. You'd think LinkedIn might be down a little bit on the weak outlook. But 43%? Investors in LinkedIn had been pumping up the stock -- way up -- on the belief that LinkedIn would continue to grow strongly for the foreseeable future. 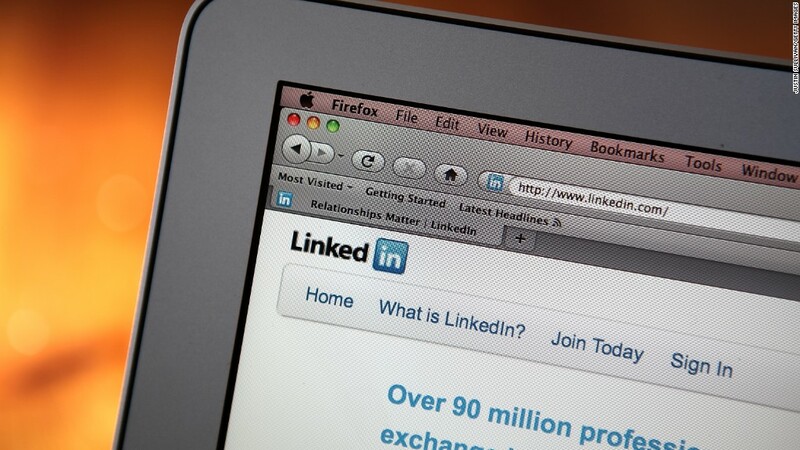 LinkedIn's shares had been trading at 52 times the company's expected earnings for the year. The average ratio for the S&P 500 is 20. By trading at such a high valuation, any sign that LinkedIn wasn't performing as well as investors believed meant that the air was going to get let out of the balloon. It was only a matter of time before LinkedIn gave investors the news they needed to start poking holes. Analysts at RBC Capital Markets think LinkedIn has plenty of room left to fall. The firm downgraded LinkedIn's stock and slashed its price target in half -- to $156 from $300. The RBC analysts said LinkedIn's outlook "implies material deceleration in growth." And that means LinkedIn no longer deserves its "historically premium valuation." LinkedIn had a long, multi-year run as the best-performing social network on the stock market. But over the past six months, shares have started to sink as Facebook (FB) has soared.